Odyssey PC680 Battery And Cage. First used in 2016, cannot leave the ignition on as long as used to be able to so a sign of deterioration but still fine for use if being used, Condition is Used. Dispatched with Royal Mail 1st Class. Battery box: Length Length internal 289mm, length external 340mm, height internal 267mm, height external 270mm, width internal 190mm. Adequate ventilation on the cover. Introducing LITEBLOX High-Performance LiFePO4 Lightweight Battery. LITEBLOX batteries are so safe, they can be used inside the car and are approved for motorsport applications worldwide. Get the best battery there is! SB12V15P-SC Super B Motorsport Lithium Race Car Battery is a lightweight Lithium Ion starter battery, 6,39 lb / 2.9 kg, specially developed for Motorsport. This battery is specially developed for motorsport. SB12V5200P-BC Super B Motorsport Lithium Race Car Battery is aLightweight Lithium Ion starter battery, 1.874 lb / 850 gm, specially developed for Motorsport. super B batteries are based on Lithium Iron Phosphate technology (LiFePO4). SB12V7800P-CC Super B Motorsport Lithium Race Car Battery is a lightweight Lithium Ion starter battery, 2.86 lb / 1.3 kg, specially developed for Motorsport. super B batteries are based on Lithium Iron Phosphate technology (LiFePO4). Mitsubishi Lancer EVO GTO 3000GT FTO Colt LITEBLOX High-Performance Battery 7.5AH 360A Lightweight Motorsport Spec LB11XX. Introducing LITEBLOX High-Performance LiFePO4 Lightweight Battery. LITEBLOX batteries are so safe, they can be used inside the car and are approved for motorsport applications worldwide. SB12V20P-SC Super B Motorsport Lithium Race Car Battery is a lightweight Lithium Ion starter battery, 7.94 lb / 3.6 kg, specially developed for Motorsport. This battery is specially developed for motorsport. Mitsubishi Lancer EVO GTO 3000GT FTO Colt LITEBLOX High Performance Smart Battery Lightweight Motorsport Spec LB19XX GEN4. Introducing LITEBLOX High-Performance LiFePO4 Lightweight Battery. LITEBLOX batteries are so safe, they can be used inside the car and are approved for motorsport applications worldwide. SB12V25P-SC Super B Motorsport Lithium Race Car Battery is a lightweight Lithium Ion starter battery, 9,26 lb / 4.2 kg, specially developed for Motorsport. This battery is specially developed for motorsport. Introducing LITEBLOX High Performance LiFePO4 Lightweight Battery. LITEBLOX batteries are so safe, they can be used inside the car and are approved for motorsport applications worldwide. Features of the premium LiFePO4 cells in LiteBlox batteries. Bolt your LITEBLOX down to the LITEBLOX OEM Battery Tray Adapter, now install the tray just like you would the regular (very heavy OEM battery). Plug & Play Tray. Now you can plug and play with your LITEBLOX, enjoy. SB12V2600P-AC Super B Lithium Kart Battery is a lightweight Lithium Ion starter battery, 0.992 lb / 450 gm, specially developed for motorsport. Super B batteries are based on Lithium Iron Phosphate technology (LiFePO4). Mitsubishi Lancer EVO GTO 3000GT FTO Colt LITEBLOX High-Performance Smart Battery Lightweight Motorsport Spec LB13XX GEN4. Introducing LITEBLOX High-Performance LiFePO4 Lightweight Battery. LITEBLOX batteries are so safe, they can be used inside the car and are approved for motorsport applications worldwide. Firstly lets Introduce LITEBLOX High-Performance Lightweight Batteries, incase you’re not familiar. See below for information only! Already got LITEBLOX?. Interested to learn more about LITEBLOX?. continue reading…. Liteblox Motorsport car battery (lithium-iron phosphate based). Liteblox car battery. In the context of the DMSB regulations officially approved for an application in motorsport. 15-23 kg weight saving over the series battery. SB12V10P-DC Super B Motorsport Lithium Race Car Battery is a Lightweight Lithium Ion starter battery, 3.75 lb / 1.7 kg, specially developed for motorsport. 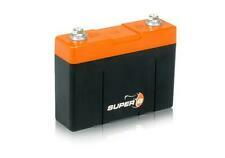 Super B batteries are based on Lithium Iron Phosphate technology (LiFePO4). SB12V20P-FC Super B Motorsport Lithium Race Car Battery is Lightweight Lithium Ion starter battery, 7.05 lb / 3.2 kg kilogram, specially developed for Motorsport. This battery is specially developed for motorsport. Grayston Momentary On/Off/Momentary On toggle switch. Good quality all metal toggle lever type switch. Not that popular on race or rally cars, but can be used for the operation of winches or perhaps to use two different types of air horn!. Fits through a dash or switch panel in a 12.5mm hole and is secured with a locknut on the front, which also secures the on/off plate (this can be omitted as desired). Wires are secured to the rear with screw terminations. ---Three position on/off/on metal toggle switch ---Secured into the panel with a frontal locking nut ---Supplied with clearly visible On/Off/On marked plate. ANDERSON 175amp JACK PLUG HANDLE - IN GREY. Audi Q2 GA (4/5 door / left-hand drive). from 8:00 16:00. We are here for you! Color BRILLANTSCHWARZ LY9B. Gear 6 speed manual transmission. Mileage 1.962 km. Porsche 911 996 3.4 Carrera 1997/09-2001/09. Porsche 911 Cabriolet 996 3.4 Carrera 1998/02-2001/09. Porsche 911 996 3.4 Carrera 4 1997/09-2001/09. Porsche 911 996 3.6 GT3 1999/03-2005/08. Porsche 911 996 3.6 Turbo 4 2000/06-2005/08. Extend Battery Life. Save Fuel Up To 5%. English User's Guide Is Included. Color: Yellow. Universal Fit For All Vehicles. 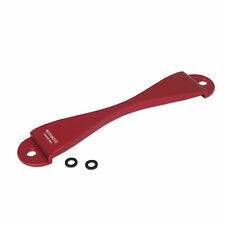 Can Install At All Models Of Cars And Trucks. Item don’t fit your car perfect. Liteblox OEM adapter plate battery holder. 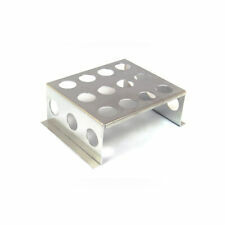 CNC machined adapter plate for plug n play all current LITEBLOX installation models. Adapter plate. 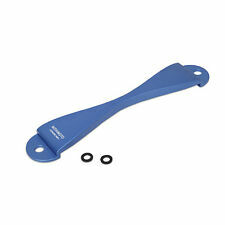 You'll also find a large selection already optimally compiled for your vehicle type products.